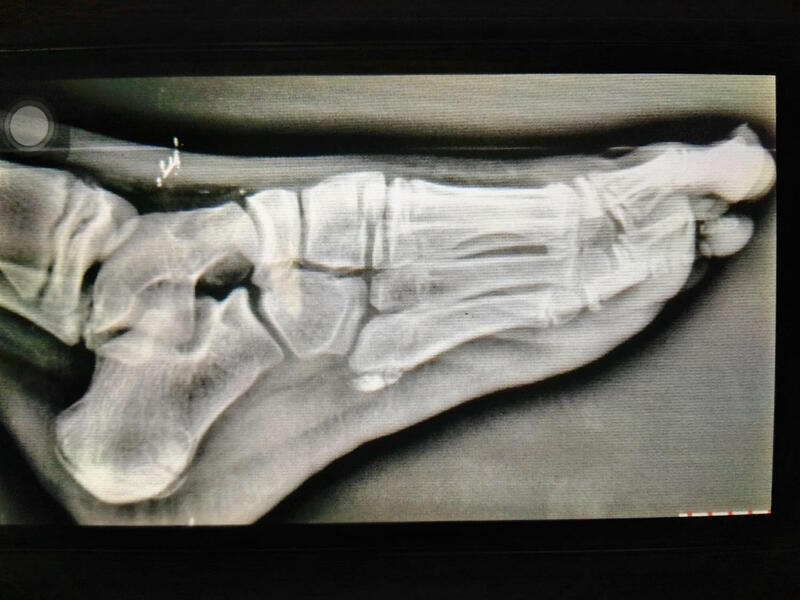 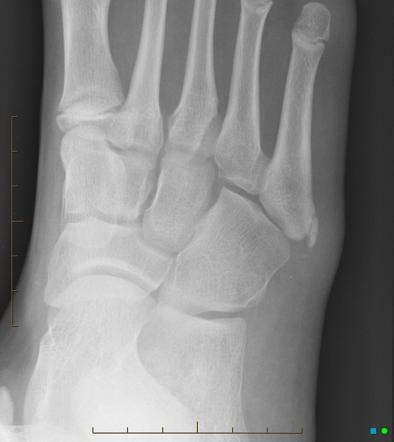 HPI - 11M presents with a recent history of trauma to his Right foot with subsequent pain in the midfoot area near the 2nd metatarsophalangeal joint. 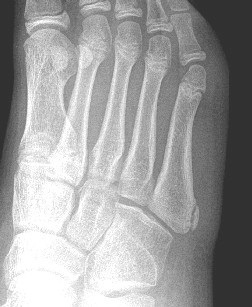 Xrays are taken which reveal the findings shown at the base of the 5th metatarsal. 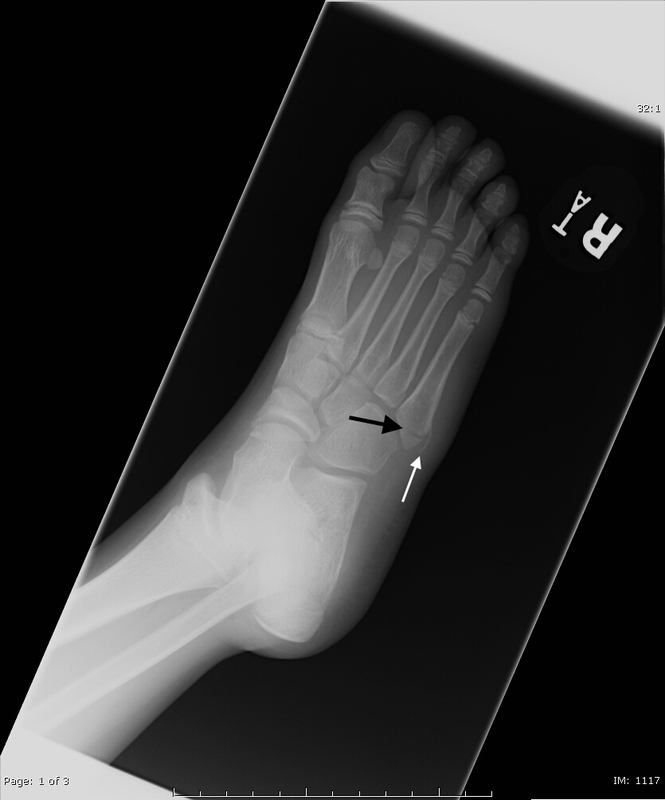 There is no pain to palpation at this area of the foot.